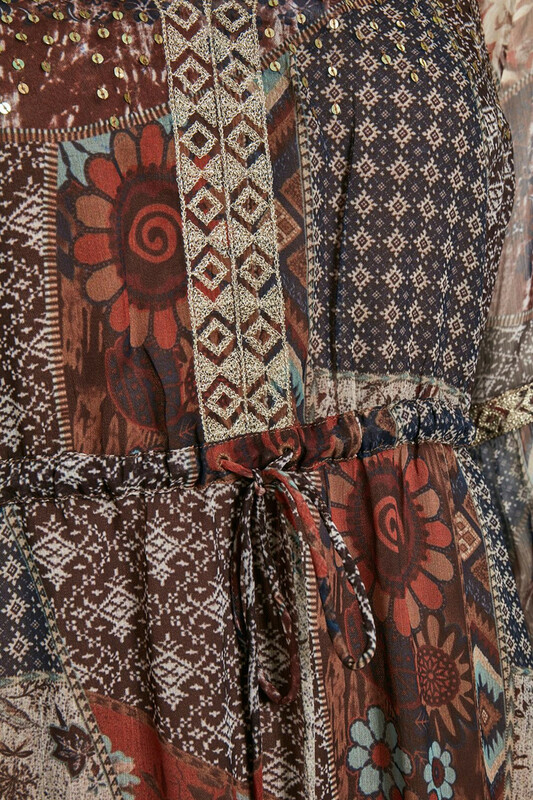 Stunning and elegant maxi dress from Cream, with beautiful details. Really a gorgeous eye-catching beauty! The long dress is light in quality and is absolutely wonderful to wear. It has a regular fit, long sleeves with wide and button closure, as well as a tie belt in the waistline. The dress has a long undergarment, a trendy print, v-neckline and elegant sequins on the upper part of the dress. 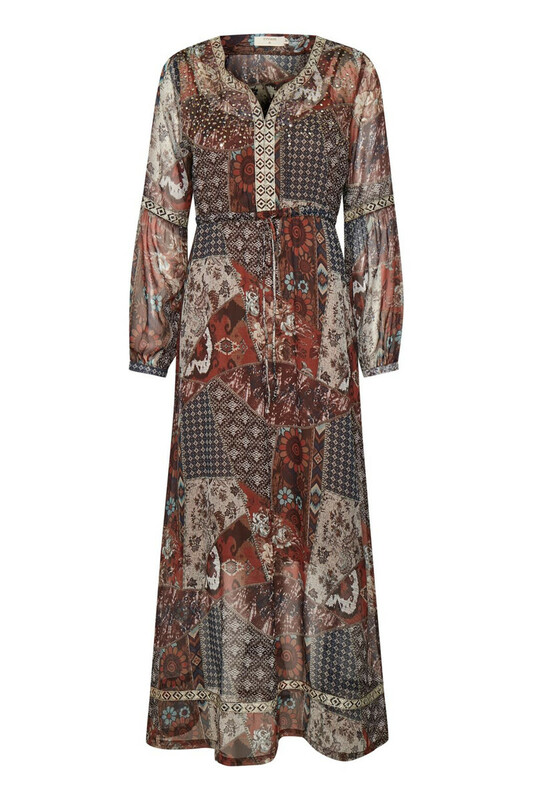 Furthermore, the dress has a silver-woven pattern on the sleeves as well as on the neckline and at the bottom of the long dress – just creating a beautiful touch. 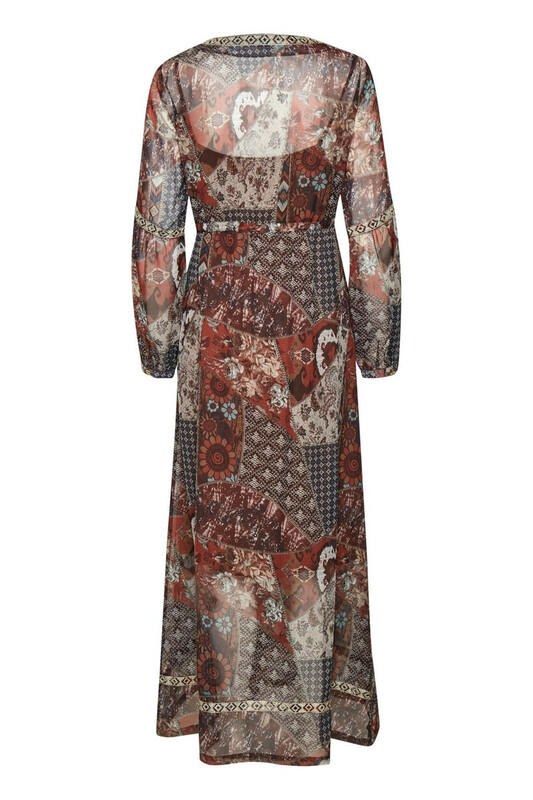 This maxi dress is undoubtedly a must-have for the season's many parties and events.